Essential tremor (ET) is the most common movement disorder. Drug-resistant ET can benefit from standard surgical stereotactic procedures (deep brain stimulation, thalamotomy) or minimally invasive high-intensity focused ultrasound (HIFU) or stereotactic radiosurgical thalamotomy (SRS-T). Resting-state fMRI (rs-fMRI) is a non-invasive imaging method acquired in absence of a task. We examined whether rs-fMRI correlates with tremor score on the treated hand (TSTH) improvement 1 year after SRS-T.
We included 17 consecutive patients treated with left unilateral SRS-T in Marseille, France. Tremor score evaluation and rs-fMRI were acquired at baseline and 1 year after SRS-T. Resting-state data (34 scans) were analyzed without a priori hypothesis, in Lausanne, Switzerland. Based on degree of improvement in TSTH, to consider SRS-T at least as effective as medication, we separated two groups: 1, ≤ 50% (n = 6, 35.3%); 2, > 50% (n = 11, 64.7%). They did not differ statistically by age (p = 0.86), duration of symptoms (p = 0.41), or lesion volume at 1 year (p = 0.06). 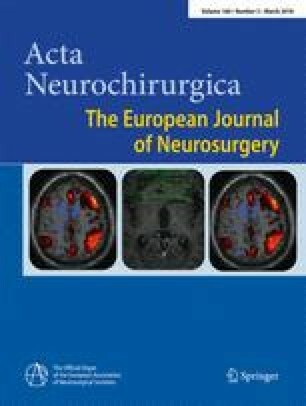 We report TSTH improvement correlated with interconnectivity strength between salience network with the left claustrum and putamen, as well as between bilateral motor cortices, frontal eye fields and left cerebellum lobule VI with right visual association area (the former also with lesion volume). Longitudinal changes showed additional associations in interconnectivity strength between right dorsal attention network with ventro-lateral prefrontal cortex and a reminiscent salience network with fusiform gyrus. Brain connectivity measured by resting-state fMRI relates to clinical response after SRS-T. Relevant networks are visual, motor, and attention. Interconnectivity between visual and motor areas is a novel finding, revealing implication in movement sensory guidance. Elena Najdenovska and Jean Régis contributed equally to this work. The online version of this article ( https://doi.org/10.1007/s00701-017-3456-x) contains supplementary material, which is available to authorized users. We acknowledge the contribution of Axelle Cretol, from Marseille University Hospital (CHU Timone), France, who, as a research assistant, kept the database up-to-date. The work was supported by the Swiss National Science Foundation (SNSF-205321-157040) and by the Centre d’Imagerie BioMédicale (CIBM) of the University of Lausanne (UNIL), the Swiss Federal Institute of Technology Lausanne (EPFL), the University of Geneva (UniGe), the Centre Hospitalier Universitaire Vaudois (CHUV), the CHU Timone, Marseille, France, the Hôpitaux Universitaires de Genève (HUG), and the Leenaards and Jeantet Foundations. The Ethical Committee of the Marseille University Hospital (CPPRB1) approved our study.